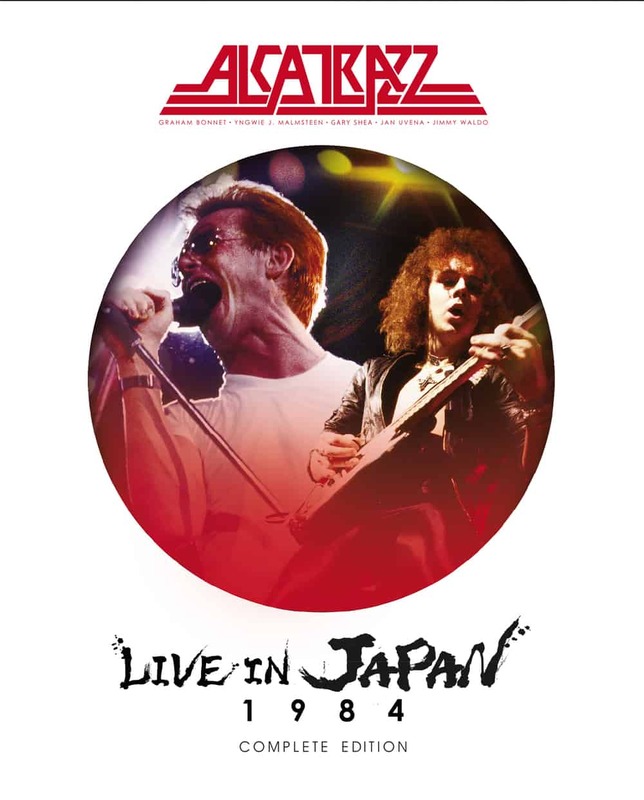 The definitive version of the legendary 1984 Japan tour is unveiled with fully restored and remastered sound, in a previously unreleased full concert form. Alcatrazz featuring the star vocalist Graham Bonnet (ex-Rainbow and The Michael Schenker Group) and the young guitar genius Yngwie J. Malmsteen toured Japan in early 1984, and the band's performance at the prestigious Nakano Sun Plaza in Tokyo on 28th January was released in Japan as a home video. During a thorough excavation of the vaults, the original 24 channel audio multitrack was miraculously discovered - remixes and digital remasterings were made to recreate the sheer brilliance of the original live performance. You will find yourself in the very first row of Nakano Sun Plaza in 1984. The complete performance is here - from the opening frenzy of ‘Too Young To Die, Too Drunk To Live’, to ‘Island In The Sun’ and ‘Hiroshima Mon Amour’ from Alcatrazz's debut album “No Parole From Rock 'n' Roll”. The band revisits Bonnet's repertoire from the Rainbow days including ‘All Night Long’, ‘Since You Been Gone’ and ‘Lost In Hollywood’, plus ‘Desert Song’ by The Michael Schenker Group and Graham's solo hit ‘Night Games’. And we witness the dawn of the new guitar god in the presence of the 20 year-old Yngwie J. Malmsteen. His guitar wizardry shines throughout, including his solo instrumentals ‘Evil Eye’ and ‘Coming Bach’. The excerpt of the show was released as the live album “Live Sentence”, with cuts and overdubs - now we get to experience the concert in its entirety. For those who were there, and those who were born too late, this is a great opportunity to time warp yourself to where it all started.